At Kingswim, we’re passionate about teaching children how to learn to swim. We’ve been doing it a really long time, and we’re experts at it. While this is our main focus, we also offer a variety of other programs at selected locations. Aquacise (exercise done in water) is a safe, low impact activity for all fitness levels and abilities. 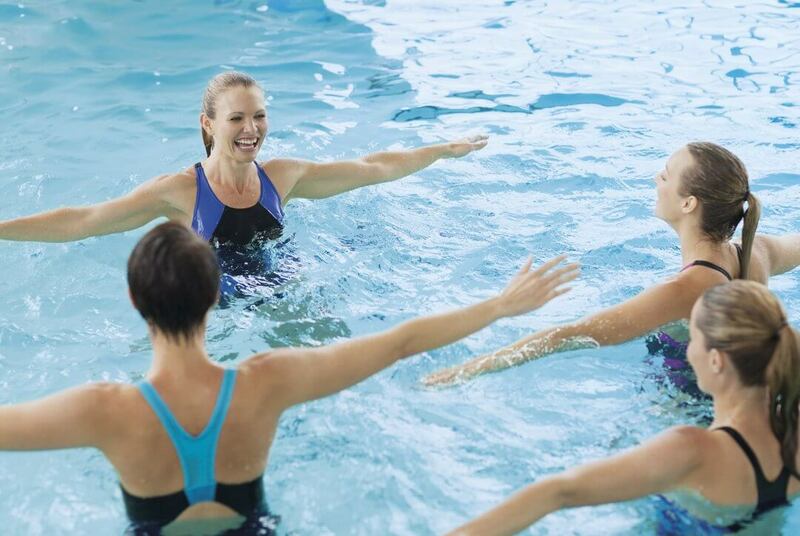 Many people can benefit from Aquacise, including pregnant women, the elderly, people recovering from an injury, or those who are new to exercise. Aquacise is held in a fun and energetic group environment, with great music and routines. We offer casual, 10 visit and 20 visit Aquacise passes.